Summer is a great time for family fun. It’s also the peak time for moving. The kids are out of school, vacations are on the horizon, and stress is starting to melt away in the summer sun. So the last you really want to do is spend a weekend packing and hauling a lifetime’s worth of boxes across town or across the country. 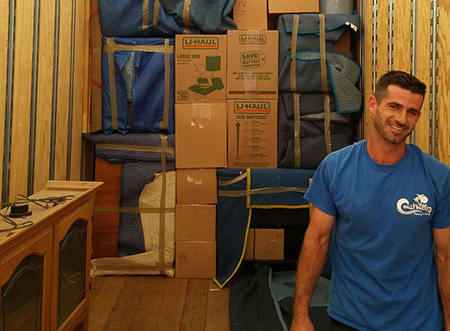 The moving experts of Coast Valley Moving & Storage are here to help. Of any moving tips you may read, the best for enjoying the summer and simplifying your move is to hire the best. And at Coast Valley, we give you just that: the best intrastate and interstate movers in San Clemente and across Orange County. Our professional movers are committed to your total satisfaction, going above and beyond to ensure your moving experience is excellent. Our moving company can move households of any size, and you’ll never have to worry about the moving distance. Our household movers provide local, long-distance and international relocations, as well as specialized moving for your electronics, piano, artwork, antiques and more. For a better summer and all your moving needs, call Coast Valley Moving & Storage or request a free quote online today!